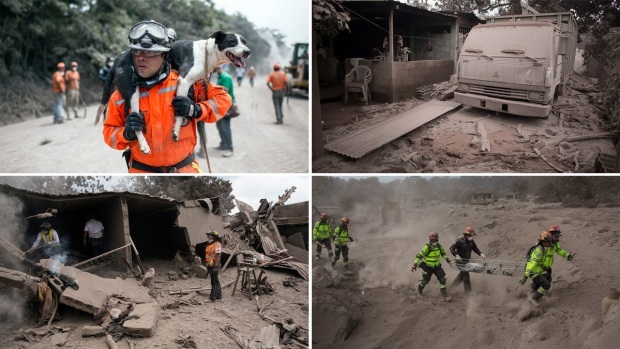 Forensic experts worked Friday on the grim task of identifying dozens of bodies charred beyond recognition by the eruption of Guatemala's Volcano of Fire, a disaster that has left at least 110 confirmed dead and nearly 200 still missing. First, the experts check for anything that could help identify the bodies, such as clothing that hasn't been burned off by flows said to have reached temperatures as high as 1,300 degrees Fahrenheit (700 C). "We are extracting the samples from bones to do DNA tests," forensic expert Miguel Morales told The Associated Press, which was allowed access to the morgue to witness the work. "The tissues are in very bad shape." "The (bodies) are essentially petrified. It's really a question of that in touching and extracting them (during the recovery), they can fall apart easily," Garcia said. But people with missing loved ones have been upset by the suspension of search and recovery efforts. Some criticized the government's response and traveled into the disaster zones to search for loved ones themselves, digging with their hands or whatever tools they could get ahold of. 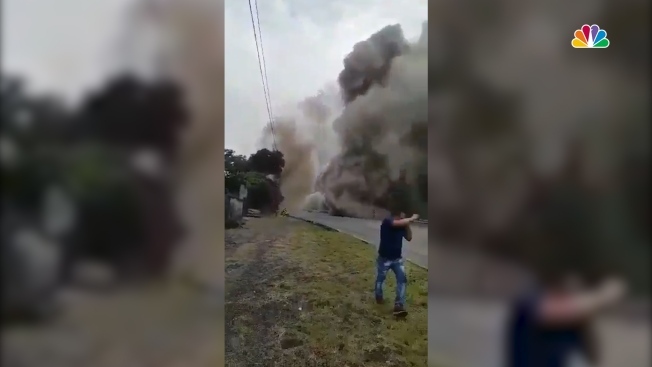 Estuardo Hernandez, 19, was talking by phone to his father, Margarito Hernandez, when millions of tons of ash tore through the village of San Miguel Los Lotes on the volcano's slope. "He called me at 3:13 p.m. Sunday," said Hernandez, who was working in the nearby city of Antigua that day and escaped the deadly flow. "The last thing he told me was to go far from here. ... The last thing I could hear was him saying: 'Get inside! There's a lot of fire out there.' I say they stayed in the house." "Without help we can't do anything ... the only thing that matters to the government is the highway," Hernandez said. "Why not bring machinery in here?"